Is your city known for its powerful pollen? The severity of allergies in a city depends on many things: the local vegetation and types of pollen, pollution levels, access to healthcare and even annual climate changes. 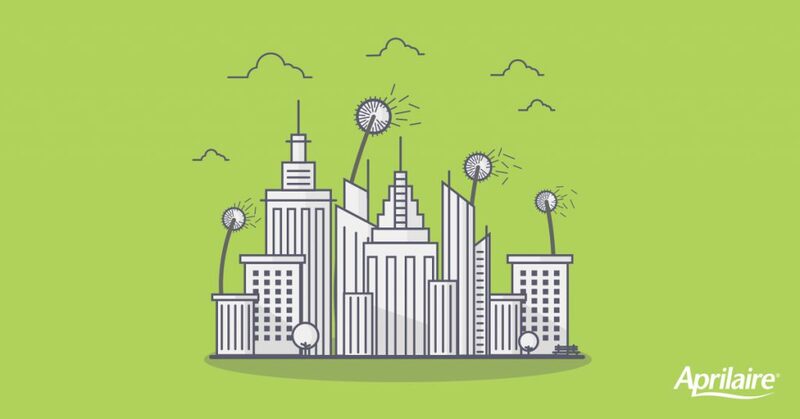 From year to year, cities labeled as “allergy capitals” tend to swap positions. Front runners are usually Louisville, KY and Madison, WI. Both cities are hotbeds of tree pollen – the major contributor to seasonal allergies for those who suffer in the spring. The last time the Asthma and Allergy Foundation of America published a list, Memphis, TN and Syracuse, NY were also in the Top 5. So, from north to south, east to west, pretty much anywhere in the country can be a challenging place to live if you suffer from Spring allergies. The bad news is you never know exactly how rough spring will be in your area. But the good news is that regardless of where you live you can start preparing now! Here are the 3 best ways to prepare. This is number one because knowledge is power. It’s always easier to fight allergy symptoms when you know exactly what it is you’re allergic too. An allergist can perform a quick and painless skin prick test to help determine what types of pollen, dander or other environmental factors cause you to sneeze, sniffle and suffer. An allergist can also review your entire medical history to determine the best medications and treatments for your specific allergies. Seeing an allergist is so important, that the availability of board-certified allergists is actually a variable when the AAFA assembles their capitals list! Once you know what you’re allergic to, you can track your specific allergens daily using a number of applications and websites. The Aprilaire Wi-FI Thermostat App features a 3-day pollen and mold forecast that you can access right from your phone. While you won’t be able to completely avoid allergies – we all need to get outside to complete our day – you can maybe reschedule an afternoon run or yard work until a day when levels are lower. While you can’t control the pollen outside – you can control the air purity in your home. Whole-home air purifiers provide clean air everywhere for homeowners in every city! A professional HVAC contractor can help you select the best air purifier for your home and HVAC system. Many great cities are also allergy capitals, so don’t let pollen keep you from you enjoying your home and hometown. Take control of your allergies this season by being proactive and prepared before the allergens start to fly! Previous Previous post: Could Spring Cleaning Make Your Home Less Healthy?